July 30, 2018, is now one of the most memorable dates in my life. I was three days delayed, so I decided to spend the day by moving and doing a general house cleaning. I dusted every shelf, swept the floor, vacuumed all carpets, did the laundry, and rearranged furniture. I thought physical activity would help my menstruation come along. The night before, I even drank soju with my husband, thinking some alcohol would also help. I had two extra pregnancy tests from I don’t remember when, so in the evening, I said, what the heck, I might as well use them. Was I expecting to see two pink lines? No. I’ve had so many disappointments in the past that I actually didn’t think getting pregnant naturally was in my stars. I got married in December 2012 although my husband and I didn’t plan to get pregnant right away. Mid-2013, though, we started to consciously try. I was 30 years old then. We didn’t consult with a doctor, but I did download apps to track my ovulation. Nothing was happening after three years of trying. I must admit that getting negative pregnancy tests month after month was a bit discouraging–not to mention, I absolutely hated it when relatives or even strangers would ask me why I still wasn’t pregnant. Finally, in February 2015, I got a positive pregnancy test. Imagine my joy upon seeing those two lines! However, during my fifth week, I started spotting which soon after turned into bleeding. On my sixth week ultrasound, the sonologist couldn’t detect an embryo or even a gestational sac. My OB-Gyne termed it as a chemical pregnancy. Devasted but determined, I decided to try again. This time, with the help of a doctor. Since the chemical pregnancy, my menstrual cycle has been a mess. In December 2015, a uterine polyp was discovered after a series of transvaginal ultrasounds. I found myself at the operating table for an emergency D&C. Thankfully, the polyp was found to be benign. After the procedure, I saw a fertility specialist regularly to monitor my ovulation. It was a grueling six-month period, from April to September of 2016. I was at the hospital almost every week for follicle monitoring. I had to take pills for fertility and ovulation. I also took a battery of tests–all of which turned out to be fine. My hormone levels were fine, my thyroid was fine, my endometrium lining was fine. Why I was having a hard time getting pregnant was still a mystery. And then, during one of my regular ultrasounds, a sonologist saw multiple cysts in my ovaries. I refused to be tagged as having Polycystic Ovarian Syndrome (PCOS) so I decided to go for Traditional Chinese Medicine. There’s a TCM clinic in Panay, Quezon City which is run by Chinese nuns and I went there religiously every week for acupuncture sessions. After a few cycles, my period regularized and the cysts were gone. Finally, I conceived by the end of September 2016. During my sixth week ultrasound, we saw an embryo with “good cardiac activity,” the report stated. But shortly after, I started spotting again. Subchorionic Hemorrhage, my OB said. Nothing to be done, but wait it out. Hopefully, the baby will grow bigger than the bleeding, or it will eventually bleed out. But by my 8th week, there was no longer a heartbeat. While I wanted to miscarry naturally, I had to undergo a D&C after a month of waiting to avoid infection. In 2017, after the D&C (my second in two years), my hormones were so haywire that my menstruation became so erratic. There were months when I would bleed 30 days straight, and then there were months when I wouldn’t have my period at all. Although I didn’t want to go back to the hospital, I had to find out what was happening with my body. Apparently, I had a cyst in my ovary and I was prescribed to take pills. Again. By this time, I was too tired, devastated, and frustrated. After a few months, I decided to stop all my medications and refused to see my doctor altogether. While I was worried, I just didn’t care why my body was acting the way it was. It was just too tiring physically, mentally, and emotionally. At one point, I remember crying out to my husband and saying that I wanted to have my reproductive organs removed so I wouldn’t have to deal with these problems anymore. I was convinced that I wouldn’t be a mother anymore. Not in this lifetime, anyway. After years of defeat and frustration, I finally decided to let go of all my negative emotions when 2018 came. I read “The Happiness Project” by Gretchen Rubin because I wanted to start my own happy story. I chose a word for the year: Deliberate. I would be deliberate in all my thoughts and actions–and always choose joy over jealousy, anger, and bitterness. Writing my goals for the year, I did not pray to get pregnant at all. I wanted to be content with my life and be genuinely happy for the others who have had their wishes granted. Also, Enzo and I were able to buy a small lot the year before, and I wanted to focus all our energies into home building. I told my husband that IF we still wanted to have a biological child after moving into our own home, we would go the IVF route. By February, I started the Keto diet and saw results almost immediately. Two weeks into the diet, I had lost around 8 pounds and my period came like clockwork the following months. By July, I had lost a total of 18 pounds. That fateful night on July 30, 2018, as I stared at the pregnancy test, a mixture of emotions overwhelmed me. Disbelief, surprise, joy, anxiety, fear–all directed towards those two pink lines that slowly appeared on the strip. I was pregnant the third time around. Could my third time be the charm? Enzo and I said a little prayer for our little bean, gave thanks for this unexpected surprise, and committed our fate to His will. I couldn’t say I got pregnant because of the Keto diet–I’m no doctor and no doctor would confirm this to me. All I know is that when I lost weight, my period miraculously came like clockwork. I also know that aligning my attitude and letting go of all negativity changed my life and I’d never felt lighter. Currently, I am at my 36th week and counting. Every day I am amazed at our little miracle growing in my belly, who has defied all expectations and taught me about faith and hope and love. Since announcing my pregnancy on social media, many women have reached out to me, sharing their own struggles with infertility. I know how frustrating it can be, to wait for 2 pink lines month after month. I know how tiring it can be, the hospital visits and synthetic medications. I know how disheartening it feels, to see everyone else get pregnant except you. And I know how irritating it is, to be asked countless of times why you still dont have children. I just want to say, IT’S OKAY. It’s okay to speak out and share your pain. It’s also okay to hide your pain. And while we will never know what the future holds, our miracles will happen in time—whether it’s in the form of a biological child or another blessing. For me, it took 6 years of rainbows and storms. My miracle, more than this baby, is learning the lesson of letting go and choosing joy, always. 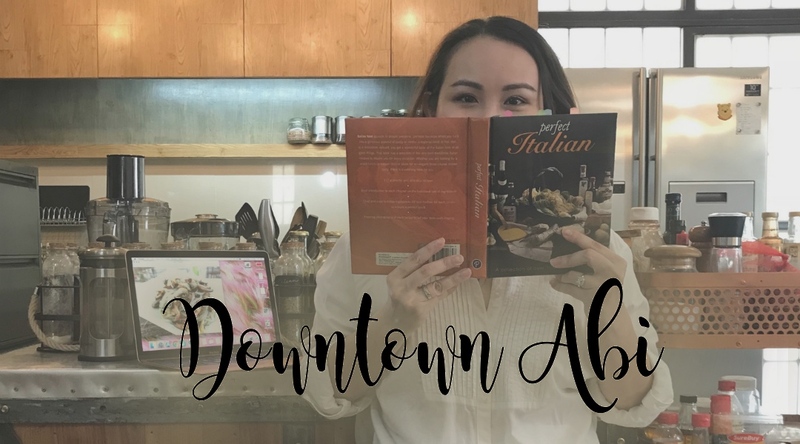 A food + lifestyle blog by Abi Ong–writer, home baker, chef wannabe, new Keto convert, and mother of three cats.